ATHLETICS NEWS – Ethiopian Abrha Milaw upstaged two-time defending champion Paul Lonyangata to win the Paris Marathon on Sunday. 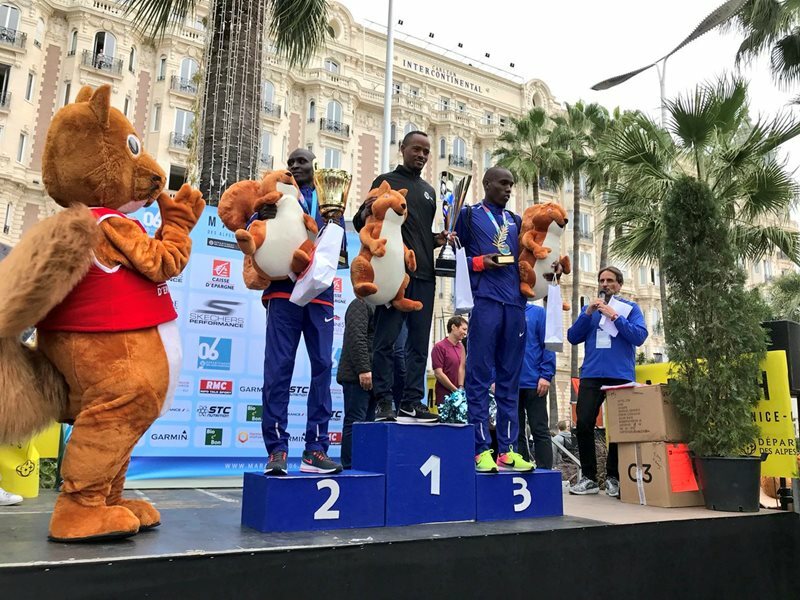 Milaw clocked 2hr 07min 05sec, with Kenyan rival Lonyangata coming in third as 49,155 runners took to the streets of the French capital in cold, clear conditions. Gelete Burka produced a spurt of extra gas in the final kilometre to ensure an Ethiopian winner in the women's race with a time of 2:22:48. France's Clemence Calvin, who was only cleared to race on Friday after the last-minute lifting of a temporary ban for evading a doping test last month in Morocco, smashed the French women's record. Calvin finished fourth in 2:23:41, bettering by 41 seconds the previous national record set by Christelle Daunay in 2010. It also bettered by almost three minutes her own previous best of 2:26:28 which she set when finishing second in the European championships in Berlin last year. "I stuck with it right to the end, I don't care what my detractors think," said Calvin. "There was only a very small minority of malicious people," she added. "I have the courage of those who withstand a blow and are planted like the Eiffel Tower. I'm not afraid of anything or anyone."